In 2010, in consonance with its objective of providing world class education to its students, the trust sought the technical expertise of . This provided them access to the vast international expertise of in the field of education and publishing. 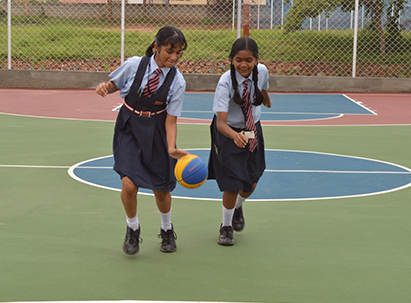 Resting amid residential clusters – the apt setting for a school in the crowded cities of today – the school has a playground for sporting and extracurricular activities. It is housed in a spacious building and has well-equipped facilities like laboratory, library, audio-visual rooms, art studio and state-of-the-art classrooms with smart-boards. 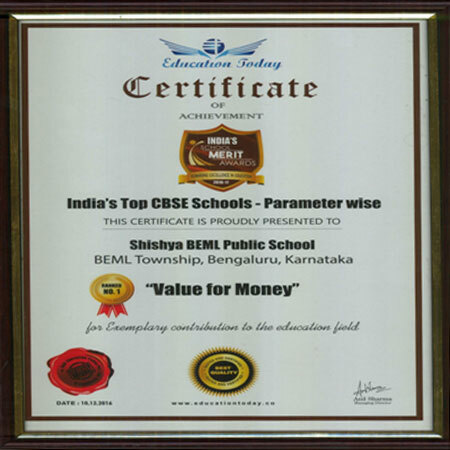 Shishya is committed to providing the best and latest in education as per the demands and challenges of the emerging educational scenario. The emphasis is therefore is not only on teaching but also on learning. 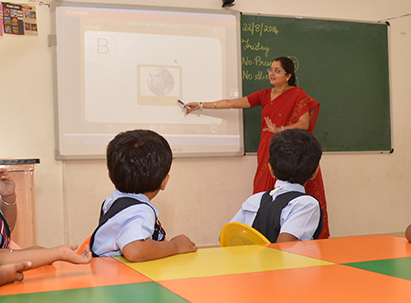 The quality of education provided by Shishya School is evident in the shining success of its students. The school continues to provide good quality education in a safe and happy atmosphere for the child. 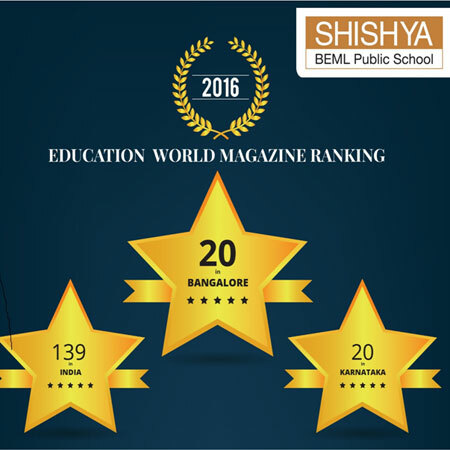 It has been ranked among the top 25 schools of Karnataka. 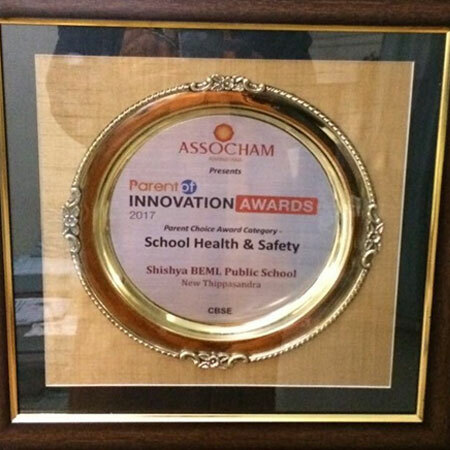 Shishya BEML Public School has won the Parent Choice award in the Category - Innovation in School Health and Student Safety Management [Parent]CBSE. 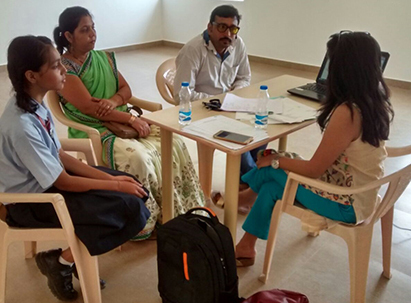 The survey was conducted for CBSE schools in Bangalore by Assochamp - Parentof organisers. 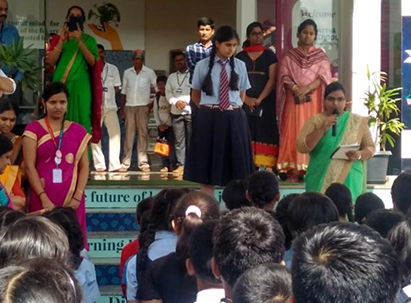 The credit for organisers is jointly shared by the staff, students and parents of Shishya BEML Public School. Honoured to receive the award from the governor of Karnataka on 27th August 2018 at the FKCCI auditorium. Vidya Dadati Vinayam, our school motto, is the beginning of the shloka that says “True knowledge gives humility, humility gives worthiness, which begets good fortune, which in turn leads to good deeds (dharma) and ultimately to bliss (happiness). As we prepare to celebrate our Silver Jubilee next year (2019), we renew our pledge to impart true knowledge to our children and to provide our children with a foundation that will make them worthy citizens, who will do good deeds that will not only give them fame and fortune but also happiness. In the pursuit of our mission to provide global standards of education to all our students, our school continues to make major strides. Last year we added significantly to the school infrastructure, especially in the sports and extra-curricular facilities, and to provide even better amenities for the overall development of our children. I am proud to say that our school continues to improve its rankings and for the second year in a row it has been ranked the best in the country in “value for money”. We will continue to provide best-in-class infrastructure and facilities in a safe and wholesome learning environment that promotes creativity, inspiration, learning and the holistic development of our children. In this endeavour, we are fortunate that we have access to ’s vast technical expertise and world-class systems and procedures. This will go a long way in achieving our vision of delivering the global standards of education necessary to prepare our children for competing in the modern world. We are committed to creating the next generation of future-ready citizens. I invite you to share and benefit from this vision for your child. 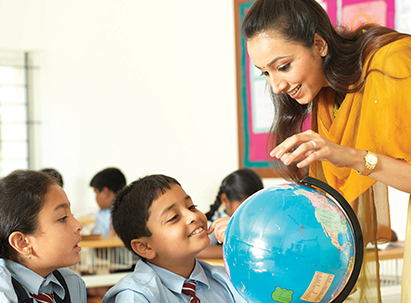 We, at Shishya BEML Public School, are committed to providing a high-quality education for our students. We emphasise the importance of achieving personal standards of excellence in academic, sporting, cultural and recreational activities. The school combines excellent facilities with a progressive curriculum, proactive values teaching and high expectations of students in performance and behaviour. Our dedicated teaching team engages children in stimulating and meaningful learning while always promoting the social and emotional development of each child. We value positive partnerships with parents, students and staff, providing many opportunities for parents to become involved in the school community, including participation on the school council. Highest quality teaching is a critical component of our school’s Strategic Plan and this is reflected in staff undertaking continuous professional learning to enhance their skills. 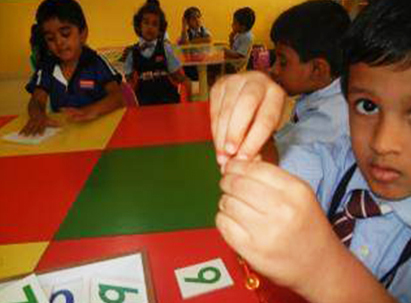 We endeavour to provide the best of the best for every child that step into our school. To create a sustainable learning approach; we combine our core and supplementary curriculum through the board-prescribed content and innovative learning approaches. 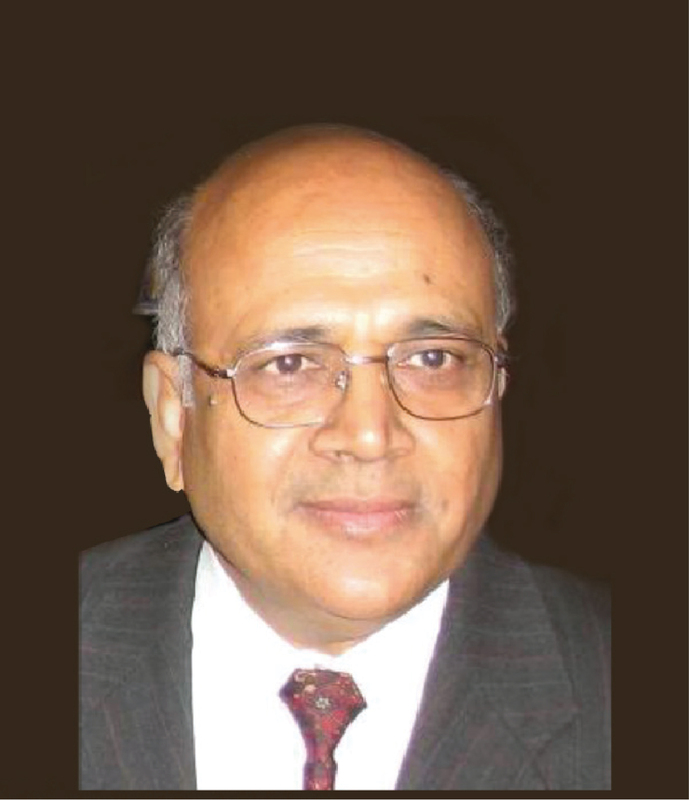 This is further complemented with contemporary teaching techniques, special programmes and examples from everyday life to develop the students’ understanding beyond textbooks. Our technology-based learning solutions aid in the development of skills specific to the 21st century. Thus, encouraging active engagement with the content provided, as we nurture conceptual, lateral and innovative thinking. A multi-media based learning solution that combines state-of-the-art hardware with syllabi compliant content, customised to suit the syllabi offered by K-12 schools. As a result, traditional blackboard-and-chalk classrooms are transformed into interactive ones, which makes learning come alive for students. 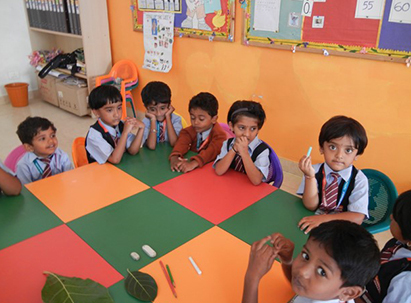 The classrooms at Shishya BEML Public School are designed to cater to the specific needs of students of all ages, providing them with a sense of security, creativity and engagement. Whether they are in kindergarten, middle school or high school, we ensure an environment tailor-made for their needs. The state-of-the-art, collaborative workspaces are built for students of all ages. Students can invent and work on exciting projects which range from robotic machines to good works within the community. This helps a student master knowledge in a deep and lasting way, as they extend their learning through projects they design, build and share. Shishya BEML School library is well-stocked with periodicals, journals, magazines, newsletters, fiction, reference books and encyclopedia to name a few. 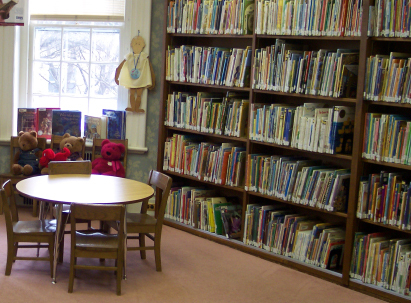 The library also offers integrated learning programmes that include phonics for pre-primary levels and literary classics for older students. Class Norms: Rather than just following rules, students are encouraged to participate in developing the day-to-day rules themselves. These rules go beyond the basics of good behaviour and aim at making their class a great place for learning. Learning: We have factored in time within daily classroom routines, for students to reflect on how they learn best and what they have learnt in the due course of the day. 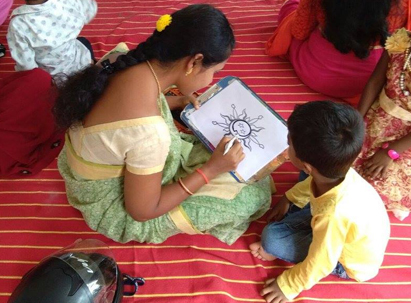 Collaborative Activities: We believe that group activities help children develop their communication skills and improve their interpersonal relationships. Collaborative learning techniques are used to improve team-building skills such as organisation, delegation, negotiation, teamwork, cooperation and leadership. Quality Circle Time: Circle Time is a social activity that encourages informal yet meaningful discussions in class, allowing students to exchange thoughts and learn from one another. 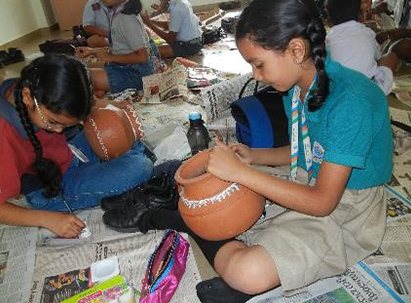 We believe that it raises their self-worth while encouraging them to be more open and trusting. Behavioural Pyramid: Students who have shown merit in social conduct, are given a place in a 'class pyramid'. It essentially depicts the collective efforts and achievements of a class and inspires students to work harder through healthy competition. Field Trips: Field trips help deepen a student’s interest in a topic, by creating a more hands-on, relevant learning experience. They also benefit teachers by giving them opportunities to generate greater attentiveness to a subject. Parents are methodically apprised of their child’s progress with the help of the technology system and personal portfolios, while regular open houses allow them to directly interact with teachers. They are also involved in the many non-academic events and activities that occur in school, no matter how informal. The school records students’ efforts, progress and achievements, in individual portfolios and personalised learning plans, which are integral to assessing their academic journey. These portfolios reveal the skills and understanding of each student, and their growth over a period. No two children have the same abilities. However, it is important that when it comes to opportunities, they are on the same footing; therefore, we consciously ensure a uniform and equal environment for all our students. We believe that it’s important to ensure that parents benefit in their child’s academic progress as well. This puts many of their anxieties to rest and creates a comfortable environment where parents, teachers and children can freely interact. Re-location is often a difficult time for parents, primarily because of the complexities involved in transferring their child to a different school. However, children transferring between two Schools will not face the usual difficulties; this is due to a certain uniformity across all Schools regarding the syllabus, co-curricular activities and the general environment. Its subject to terms and conditions and availability of seats. 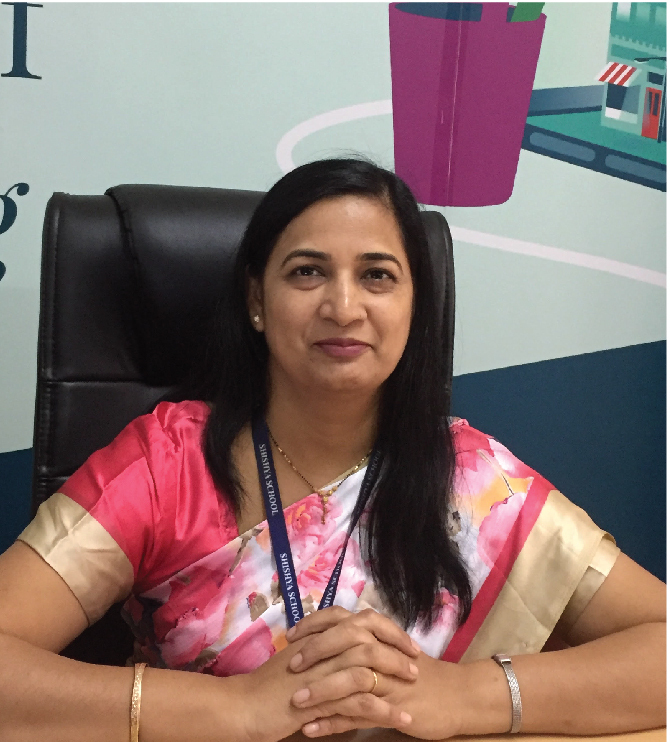 At Shishya BEML Public School, a teacher’s role extends far beyond the classroom. 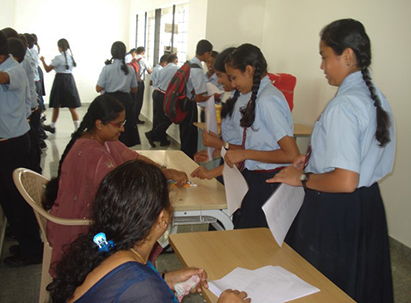 Each teacher is carefully selected after a rigorous selection process which includes tests and interviews. 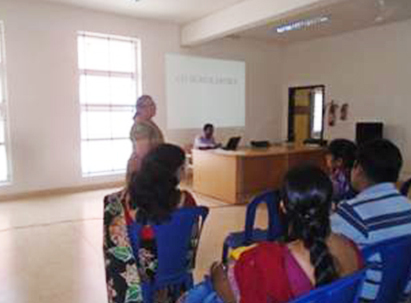 Our teachers are innovators and facilitators – they actively participate in initiating and organising unique classroom activities and learning methods. 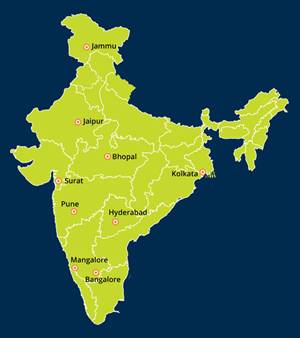 They are specially trained to do so through a series of training programmes. In addition to an intensive pre-service session on innovation (which includes the In-Service Teaching Programme), these training programmes provide solutions to matters related to curriculum, content and technology. They also develop individual teaching styles and help teachers assess themselves using feedback from students, colleagues and the management. 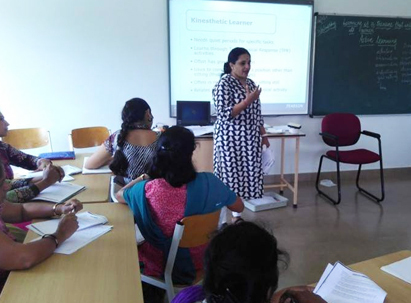 Our teaching aids consist of well-thought-out lesson and activity plans to facilitate student interest and engagement. 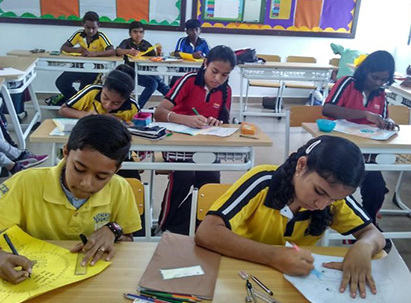 The uniformity of our teaching methodologies across schools also ensures a uniform learning outcome, while celebrating a student’s creativity and ingenuity. Workloads are carefully planned and divided to ensure that teachers are consistently committed to both their work and their students.